To check photo pixel size use a photo editor to check image size is up to 400 x 500 pixels (Generally you can right click on a photo and under Properties, view the pixel size). Photos should not exceed the 4 MB size limit. Avoid photos with other visible people or objects. 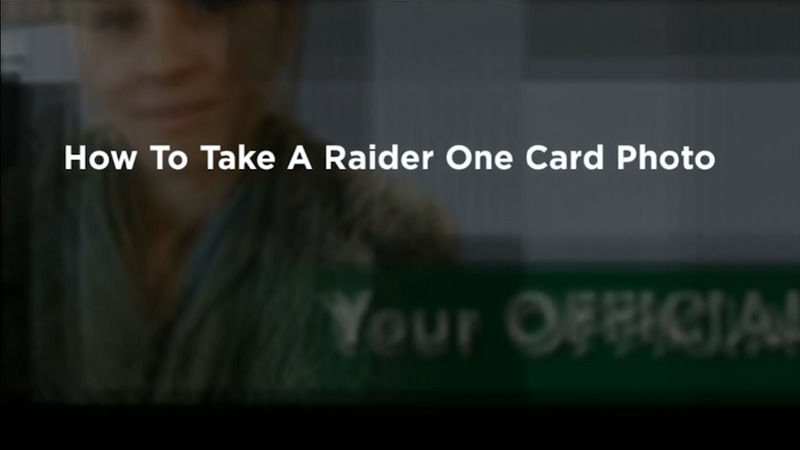 Get your photo taken for your Raider One Card at a Raiders Store on campus. Have your Student ID Number and Photo ID with you. Remember that hats, caps, scarves, or sunglasses are not allowed in your ID picture. Your card will be available for pickup at the campus Cashier/Business Office in 5-7 business days.